We are happy to announce official Play2Live bounty program details. Facebook,Steam,Youtube,Signature and twitter bounty campaign participants must post their final reports with the links to all tweets\retweets\posts\reposts\SS of games\Videos before 11/03/18, 17:00 UTC. Below you will find the details of the bounty campaign. The campaign starts on November 10th, 12:00 UTC and finishes on March 12th , 12:00 UTC. We are determined to distribute 1% of total supply, which is equivalent to 13,088,000 tokens ($654,400). The reward distribution will take place after the token sale is finished. So be fast to get onboard! Joining Telegram chat is an obligatory requirement to be eligible for a bounty reward for all backers except for Twitch and Steam bounty campaigns. We will announce updates about bounty campaign progress in Telegram and provide an opportunity for everyone to get acquainted with our project in greater detail. Likewise, we ask everyone to fill in Google forms in the bounty streams listed below to let us keep track of your progress. Please keep in mind that using automatic translation services is not allowed. We will easily recognize machine translation - so please refrain from using such services. -Please mind the deadlines when applying for translation - you have 5 days to provide a translated version of a document / article / thread after submitting the request. -Brief Overview translation – 25 stakes. -Big article or post translation – 25 stakes. You can find articles in Medium blog on our site. Our ANN indonesian thread https://bitcointalk.org/index.php?topic=2838175. 1. Apply the signature BB-code of Play2Live to your profile details. 3. Make at least 50 posts of a good quality outside of the BOUNTY thread. -Each participant should make at least 50 quality publications outside of BOUNTY thread during bounty campaign duration. -Only posts in ‘Alternate cryptocurrencies’ section are eligible. -Profiles with negative trust are not eligible for participation in the campaign and for reward distribution. Additionally, if your trust rank goes red during the campaign duration, you are excluded from the list of participants. -Spamming or any cheating intention leads to the immediate ban from bounty campaign participation. We thoroughly investigate discussions you engage in. -Removing a signature during the bounty campaign results in delisting from reward distribution. -Please drop a line to bounty@p2l.tv in case your rank changes during the campaign duration or contant our bounty manager(Play2Live). Legendary member: 8 stakes per week. If you wear project avatar, you are additionally provided with an avatar bounty (1 stake per week for Members; 2 stakes per week for Full and Senior members; 4 stakes – for Hero and Legendary). For e.g, if you have a senior member account with our avatar on the profile picture that participates in the campaign for 4 weeks, you are to be provided with (4 + 2) * 4 = 24 stakes. -Your Twitter account must have at least 250 followers. -Your Twitter account needs to have at least 80% real followers. -You have to retweet at least 10 tweets from our Twitter account. -You have to make at least 10 tweets about Play2Live in English adding hashtag #Play2Live. -You should not post more than 1 tweet and 1 retweet per day. -You have to post tweets and retweets in English. -No spamming multiple tweets/retweets in a row. 250 - 400 followers: 1 stakes per each tweet/retweet. 401 - 600 followers: 2 stakes per each tweet/retweet. 601 - 1000 followers: 3 stakes per each tweet/retweet. 1001 - 1501 followers: 4 stakes per each tweet/retweet. >1501 followers:5 stakes per each tweet/retweet. -To participate in Facebook campaign you should like and follow our official page. -You have to share and like at least one publication every week until the bounty campaign ends. -Overall, you have to like and share at least 15 posts published on our official page and write at least 5 your own posts during the campaign duration. -Every week you should make a post that records your shares and posts on Facebook in this thread. -Posts and shares should remain at your feed until the end of the bounty campaign. -An account should have a minimum of 250 friends to participate. -We thoroughly consider the authenticity of the friends, so your friends list should be open to the public. -Spamming multiple posts in a row about our project in your feed is not allowed. 250 - 400 friends: 1 stakes per each post/share. 401 - 600 friends: 2 stakes per each post/share. 601 - 1000 friends: 3 stakes per each post/share. 1001 - 1501 friends: 4 stakes per each post/share. >1501 friends:5 stakes per each post/sharet. -Only one Steam account for a user. -Put project logo on Steam account avatar (link: https://i.imgur.com/qsA3zBC.png) and include project name (example: John Doe | Play2Live.io). -You need to have at least 15 friends. -You need to have at least one of these games: Counter-Strike Go, Dota 2, Quake 3 arena 2017 version, Team Fortress 2 or other games that allow hosting matches. -You will need to play at least 3 matches in any of these games per week. -We count for stake distribution a maximum of 40 matches per week. -You need to take screenshots with our logo and name in matches and send a message to bounty@p2l.tv with title 'Steam Bounty' after each match. -You should be an active streamer hosting at least 1-2 streams per week. 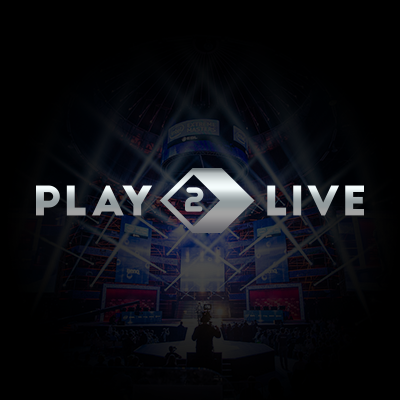 -Panel description in the channel should contain an image of Play2Live project (https://imgur.com/xmfZkuA) with a link to our website (https://play2live.io). -You should keep an image and a link in your description until the end of the bounty campaign. -Your account should have at least 20,000 total views. -You should make an announcement of the project during a stream at least once and provide us with a link to the video. -Please send your links and feedback to the following email address: bounty@p2l.tv. -A video should be at least 2 minutes long highlighting key project unique selling points: an opportunity for a viewer of a stream to earn real money just by watching the broadcast, a unique system of interaction between a streamer and a viewer, advertising-free platform, a total of 15 ways to spend tokens within the Play2Live platform, peer-to-peer CDN (content delivery network) technology that allows for decentralized streaming. -Please send your video links and feedback to the following email address: bounty@p2l.tv. The basic amount of stakes for distribution is 10 per a video. We are ready to discuss special reward conditions in case you have a very popular account on Youtube. We kindly ask everyone to fill in Google Forms to apply for the translation campaign. I think this project is very good maybe will big news of next bounty and ICO program. Hi! Unfortunately, we have already reserved Indonesian translation, but you still can participate in other bounties. and btw i really love this project and i will be fully committed to support this project!! bounty manager , I've some question about steam bounty reward , do you have limit per match ?/day and take screenshot and send a message to bounty@p2l.tv weekly ? If you would need a Dutch translation, feel free to drop me a message. Hi,you can fill in form for translation and we will take a closer look at it. We have already locked the spreadsheets and we will take a closer look if something has happened.